System requirements for running the game on the PC and Mac platforms. Our Fortnite: Battle Royale System Requirements page outlines the minimum and recommended specs, so you know for certain how the game will play. If you're just starting out with Fortnite Battle Royale (and there must be some of you left! ), you'll likely want to know what the minimum and recommended system requirements are for the game. On this page you'll learn about both categories for the PC and Mac platforms. As well as outlining Epic's own recommendations, we've also made a few performance notes on how different systems handle the game. Towards the bottom we also explain how to check your own system specs so you can see how it'll likely handle the game. The good news for everyone is that Fortnite: Battle Royale really isn't a demanding game, thanks to cartoonish artwork that prioritises style over intense rendering. Even a budget PC should be more than capable of running the game at a perfectly acceptable level. Keep in mind though that Mac owners will want to pay close attention to the operating system they're using, as the game can be a bit picky on the Apple platform. Below we've listed the official minimum and recommended specs, along with our thoughts on how well they'll actually run the game. We don't recommend trying to run the game on the official minimum requirements listed above as your system is really going to struggle. We're talking all settings to very low, a lowered screen resolution and still some awfully choppy performance. Integrated graphics just won't cut it if you want to compete against other players without a hitch! We're not talking big bucks to upgrade here, just focus on purchasing a dedicated graphics card (GPU) as it'll have the biggest impact on your system's gaming performance. The card doesn't have to be top of the range either - it can be a few years old if needs be. As long as you're not relying on integrated graphics is all. In contrast, the recommended settings get a big thumbs up from us. It's not a graphically intensive game by any means, so it'll run nice and smoothly even on a budget rig. So long as you meet the quota: quad core processor (CPU), 8GB RAM and a mid-range GPU from a few years ago - or a current budget/mid-range GPU - you'll be able to run the game just fine. If you're after a new PC, we'd recommend saving some pennies each month and building one of your own. Make sure you do some extensive research before going ahead and buying the components - ask friends, compare prices and dip into some forums too. You can also buy pre-built systems which'll strip away all the hassle for a higher price point. Whichever suits you really! For Mac users things get a little bit more complicated. From the official site, we've gathered that the system requirements are exactly the same as that of the Windows minimum specs, just so long as you've got Mac OS X Sierra or above. If you're using any other OS before Sierra, such as Yosemite or El Capitan, it's highly unlikely the game will run on your system - sorry! 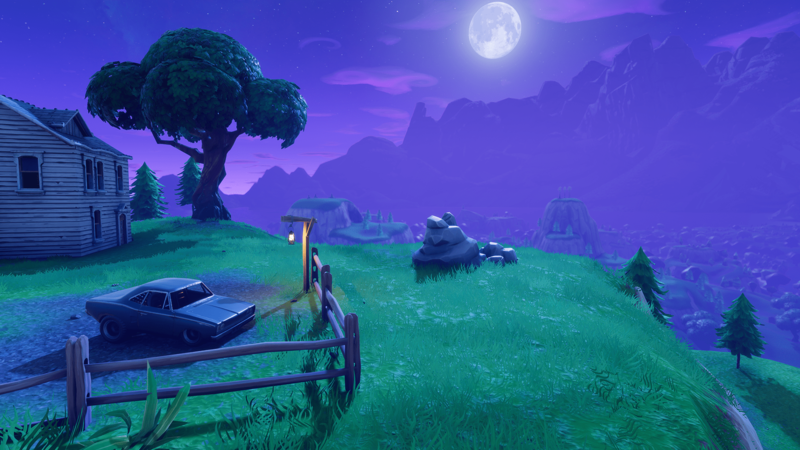 To make things really simple, we've broken down how Fortnite: Battle Royale will run on your Mac system dependent on what Integrated or Dedicated GPU it has installed. If we've put "Not recommended", this means the game won't run well at all. "Recommended" means that it should run just fine. Sorry to say that your options will be very limited here! Here's what systems we're running the game with, so you can get a better idea of what parts you may or may not need to upgrade. This build runs the game like an absolute dream and we can ramp the settings up to Ultra with no FPS hitches whatsoever. We configured this around 3 years ago, and since then we've only ever upgraded the GPU from a cheap and cheerful GTX 750Ti to the beefier RX 480. Despite this machine being pretty budget oriented, we're still able to run the game at Very High or Ultra with no performance issues. If we had the GTX 750Ti installed, we're sure the game would still run just fine at Medium to High settings overall. How do I find out my system specs? Here's how to find out what's in your rig right now. Go to your Windows search bar and type in ‘dxdiag’. This will bring up a screen which shows all the good stuff. Things to take note of: Operating System (32 or 64-bit), Processor (CPU) and Memory (RAM). To find out what graphics card you’ve got, click the tab entitled ‘Display 1’ at the top left. If you’ve got a dedicated GPU installed it’ll list the manufacturer (AMD or Nvidia), followed by the chip number (GeForce GTX or AMD RX). You can check your display memory and VRAM here too. That’s all the information you’ll need! Unsure what OS your Mac's running? Here's how to find out what's happening beneath the hood. To find the Mac OS version and specifications, click the Apple icon in the top left corner of your screen. From the drop-down menu, click 'About This Mac' to open up the 'System Information' window. This will list all the info you'll need! Depending on how powerful your rig is, you’ll want to fine-tune Fortnite’s settings for optimal performance. There are a number of settings that need tweaking if you want to squeeze as many frames as possible out of your system, so make sure you check out our Settings guide for the complete lowdown on what to adjust. don't know if I'm the only one, but Fortnite doesn't work for my new MacBook Air, with 2.2 GHz Intel Core i7, 8 GB 1600 MHz DDR3, and Intel HD Graphics 6000 1536 MB. Posting bc I got my hopes up about this game for nothing...still not playable, even at the absolute lowest settings.